Recently, the administration of the United Federation of Teachers (UFT), worked out a contract with Mayor Bill de Blasio. 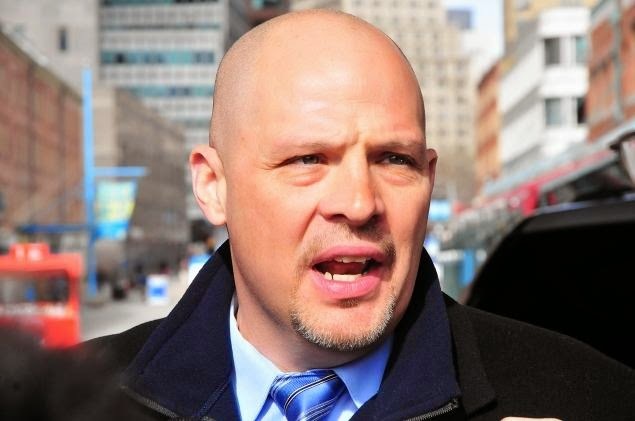 Now, Michael Mulgrew, president of the UFT, is trying to cajole and bully members of the union to accept this contract. However, this contract is horrible for what it proposes and what it leaves out. Below, we have summed up 5 basic reasons why UFT members should reject this contract. If you are a UFT member please VOTE NO, if you know someone who is a UFT member, please share this information and ask her/him to VOTE NO! 1. Tomorrow is Not Promised to Anyone! In this new “contract” the UFT members are promised raises that we were supposed to get when Mayor Bloomberg was in office. However, unless you are retiring by this June, you won’t see all the money that’s owed to you until 2020, two years after de Blasio’s term in office expires. Why would I wait to get what’s owed to me in 2020, when money later is worth less because of inflation and the rising cost of living? Also, when the Transit Workers negotiated their contract they were paid their money up front, not later when it is worth less. If we are serious about adequately paying our education workers then let’s not rip them off, let’s pay them now! Who knows if we will be here tomorrow to collect what de Blasio is keeping from us now? Tomorrow is Not Promised to Anyone! 2. We need to Unite, not be Divided and Conquered! Currently, almost half of the active members of the UFT are not teachers, yet they are treated like second-class citizens. When paraprofessionals are under investigation they do not receive any pay, even when they are totally innocent. Also, out of the eleven UFT officers only one is elected to represent non-teachers and only if they don’t work for the Department of Education. Moreover, there is nothing in this contract that addresses the disappearing of Black and Latino educators. As less and less people of color are being hired to teach in our schools, and more and more of them are becoming ATRs (education workers without permanent schools), our teachers are looking less and less like our students, yet this contract says nothing about this racist injustice. To make matters worse, with this new contract, education workers are further divided by allowing some teachers to make more money by evaluating other teachers and being promoted to “master” and “ambassador” teachers. Using union members to regulate other union members violates a very fundamental union principle; In Unity there is Strength! 3. We Need to Stop the Lies and the Double Dealing! Last year Mulgrew told union members that it was in our benefit to keep records of everything we did so that we could submit “artifacts” and justify our jobs. In this new contract he is now saying that we don’t need to do that. In the recent past, he said that we needed our evaluation to have 27 domains (or things to worry about) but now he says we only need to worry about 8 domains. Now, he is also telling us that ATRs should have a quicker process for being fired… but … they won’t be fired. Well, which is it? How is this supposed to be good for education workers, parents or students? It can’t be that everything is good for us as long as Mulgrew says it is. Can’t we figure out right from wrong? We need to demand RESPECT! Let’s stop the Lies and the Double-Dealing! 4. Privatization of our Public Schools Continues! Despite Mulgrew and de Blasio’s supposed opposition to Charter Schools and the privatization of our public schools they have done nothing to stop this process. In fact, the current UFT administration has a contract with a company called Green Dot Public Schools to run charter schools. Moreover, the mayor is now trying to win over the Wall Street hedge-fund millionaires who are funding those privately run “charter” schools that are receiving public space and money. Instead of working to ensure that every neighborhood school provides a quality education for all of our children, there is not one single initiative that works towards this most basic principle of public education. This contract also does not challenge the current mayoral dictatorship of our schools! What happened to support for Popular Control of our schools, where parents lead the decision making process in collaboration with administrators, education workers and students? We need Popular Control of our schools! 5. Racism and Patriarchy Continue in the Curriculum! There is nothing in this contract that changes or moves our current curriculum away from static, mind numbing racist, sexist and homophobic ideas and interpretations. In fact, the new “Common Core” and Danielson Evaluation have made it more difficult for educators to innovate and expand learning in their classrooms. All subjects should push to be more truthful about the accomplishments of all societies and people in our global village. We should also be more willing to challenge students with alternative answers and questions, which will enable them to be more creative, thoughtful and engaged in the learning process. However, there is not one word about challenging the curriculum status quo in this new contract. This contract also does not adequately address the current over-testing madness, the lack of funding for services students need, overcrowded classes, school discipline or the school-to-prison pipeline. There is too much that this contract leaves out! For the greater part of the 44 years that I have been a member of the UFT teachers truly believed that an assault against one of us was an assault against all of us. The idea of union was that if we all held together, we could accomplish what we never would be able to as individuals. There was one job title of teacher and we all enjoyed the same rights. I am puzzled now, or maybe just too old and nostalgic to understand, how under our most recent agreement, a certain category of teachers has been singled out for disparate treatment. The teachers in the Absent Teacher Reserve have required more protection, not less. Their job security and their outlook have been shaken to the core by the fact that they are no longer appointed to a school. In the final year of these closing ghost schools, the last students going down with the ship were often underserved as the Department of Education staffed them with a handful of remaining teachers to teach the last seniors. The city abandoned these students. But there was always a cadre of teachers in each school that refused to turn their backs them. These were usually veteran teachers, nearing retirement, who told me they felt an obligation to the students in a dire situation and would not leave for another school and make matters worse for them. When the doors finally closed, these dedicated teachers were in excess. 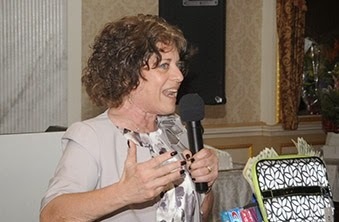 At a staff meeting of the UFT I rose to point out that this category of excessed teacher created by the massive school closings were unlike any other prior group of excessed teachers. For years “last in, first out” (LIFO) put in excess the most junior teachers in license on a staff that had a contraction of positions. So teachers who had one or two years of service were at risk. But the excessed pool now included hundreds of teachers with 20-30 years of satisfactory classroom service who had dedicated their entire professional lives to the students of New York City. This was new. Since 2005, when the category of Absent Teacher Reserve was created, teachers in the ATR have always had a sense of uneasiness. I cannot recall a single school visit when an ATR teacher did not approach me and ask if the union would protect them. Will the next contract let us be fired? I always assured them that the UFT would stand by them. And that the ATR category was created to give them job protection. ATR’s could not be fired without the same due process as every other teacher in the system. So they insist that the 2/3 of the ATR pool who have never been accused of wrongdoing or had unsatisfactory performances be characterized as “poor quality”and “ineffective”and worthy of firing. The truth is that the Department of Education has never made a secret of its desire to fire the ATRs. It’s been raised in every contract negotiation. But the union has up to now provided protection for this group because they are valuable teachers and members whose predicament was created entirely by the Department of Education. As a 31 year veteran teacher from Kennedy High School, a school not slated for closing for many years as other Bronx high schools met their demise, I often thought “There but for the grace of God go I”. The UFT not only saw that displaced teachers were not fired, we reached agreement with the Department of Education that they could only be moved once a semester. This gave them stability for at least half the school year. It was humane. Many got regular assignments saving the city money on hiring long term substitute teachers for teachers on leaves for child care or health issues. (Although the city and the press still just multiply the number of ATR’s by their salaries and calculate that as a drain on the city’s resources without deducting the savings). ATRs were also serving as per diem substitutes for daily absentee teachers. Another savings. A survey we were asked to do by the union in 2009 showed that hundreds of ATRs were serving in this capacity—not sitting around idly doing nothing and collecting salaries. This brings us to the new contract and it’s agreement regarding this maligned and vulnerable group of teachers. The city has been looking for a way to fire this teachers since before Klein’s Chicago jaunt. The Memorandum of Agreement now under consideration makes this much easier. It streamlines the process for ridding the city of the ATRs. It proposes a separate and unequal disciplinary system that will end the career of an ATR in a way that cannot happen to an appointed teacher. The term “problematic behavior”is unacceptably vague. What is it? It can’t rise to the level of a violation of Chancellor’s regulations because that has always allowed for removal. In instances of language belittling or causing emotional distress, corporal punishment, misappropriation of funds, excessive absence and/or lateness or any other clearly defined violations under the Chancellor’s regulations, teachers could be removed and charged. Two years of unsatisfactory ratings could lead to removal and charges. So “problematic behavior”must fall into a category of actions beneath these violations. Let me give you four examples that I have heard from ATRs: Leaving four minutes early on a staff development day after receiving a phone call about a son’s medical emergency, scolding in front of students for not wearing a tie, dozing off in the teachers’lounge on a day when he was given no assignment or classes to cover, making a statement in the classroom that sounded like religious proselytizing. One might concede that these actions are “problematic”but they never would have led to more than a file letter in the past! Now, they can rise to the level of such severity that the career of the beleaguered ATR can be ended forever. Who will decide what’s “problematic”? The panel of arbitrators whose standard we agree is a mystery at the moment? The two consecutive principals who may have marked certain teachers for discipline possibly because they spoke up when they were given five classes in a row to teach, or reported a special ed violation, or cheating on a Regents? Or maybe they just seemed too confrontational or not compliant enough? Or maybe didn’t wear a tie! Without clearly defining “problematic”behavior, we have provided a roadmap for showing the door to ATR’s. I have read that the ATR’s cannot “automatically”be fired. They would feel more secure without the modifier. The grounds for their removal and ultimate firing are far different from those required of regular appointed teachers. Do we have the right to create a new and lesser category within our own family? The speed with which an ATR can be dispatched is breathtaking. No regular appointed teacher could be pushed out the door with such haste. There is due process and then there is what the MOA calls the“exclusive”due process for ATRs. The union should stand behind one 3020a process for all its teachers. “If, within a school year or consecutively across school years, an ATR has been removed from a temporary provisional assignment to a vacancy in his/her license area by two different principals because of asserted problematic behavior, a neutral arbitrator from a panel of arbitrators jointly selected for this purpose (the panel presently consisting of Martin F. Scheinman, Howard Edelman and Mark Grossman) shall convene a 3020-a hearing as soon as possible Based on the written documentation described above and such other documentary and/or witness evidence as the employer or the respondent may submit, the hearing officer shall determine whether the ATR has demonstrated a pattern of problematic behavior. For purposes of this program, problematic behavior means behavior that is inconsistent with the expectations established for professionals working in schools and a pattern of problematic behavior means two or more instances in a vacancy in the ATR’s license area of problematic behavior within a school year or consecutively across school years. Hearings under this provision shall not exceed one full day absent a showing of good cause and the hearing officer shall convene a §3020-a hearing as soon as possible. The parties agree that in order to accomplish the purpose of establishing an expedited §3020-a process, the following shall serve as the exclusive process for§3020-a hearings for ATRs that have been charged based on a pattern of problematic behavior in accordance with this agreement. The hearing officer shall issue a decision within 15 days of the hearing date. I know many ATRs because the displacement of veteran high school teachers has been so great. It is a problem of the Department of Education’s own making. From the dumping of these teachers into a special pool, to the changing of their assignments every semester, to their bouncing from school to school every week, to the special and unique expedited 3020a hearing that adheres to a timetable that no other teacher must be suffer, these life-long teachers have been beaten down. They have been mandated to apply for jobs online, mandated to attend interviews, and mandated to accept assignments for years. But many are never offered jobs because principals prefer to hire probationary teachers that can be fired at will. I served on many hiring committees for new schools every June. They were looking to staff their entire schools. There was a constant parade of new, uncertified teaching fellows getting hired to the exclusion of the veterans who interviewed. The unsettling feeling I have now is that the worst fears that the ATRs shared with me all of those years have been realized. It was a very sad day indeed in the history of democracy at the May Delegate Assembly. The meeting was moved to the NY Hilton. I am going to dispense with my usual lengthy summary of what President Mulgrew said because you've already seen most of it in the UFT propaganda literature or you will hear it when union representatives come to your schools. Mulgrew made the case for the contract for over an hour and then doubled the question period to half an hour to speak some more. He finally allowed for debate on the contract after 6:00 pm when there is an automatic adjournment at 6:15 p.m. His basic argument is that the city has no money for raises because former Mayor Bloomberg depleted the labor reserve. The one sided discussion was worse than even the usual DA mangling of democracy. It was a complete sham. After Mulgrew finally finished talking, one Unity person (majority caucus of the UFT which does not allow dissent) spoke in favor of sending the contract to the membership for ratification and then Mulgrew pointed to a second Unity member and that is when I sprung forward and called for a point of order. As everyone who regularly reads this blog knows, debate is supposed to alternate between speakers for and against every topic according to Robert's Rules. Since there was a speaker for the contract, there should be one against. The Unity speaker was willing to yield the floor so Mulgrew gave it to me. I had a thorough speech ready (see below) where I was about to go point for point to refute much of what Mulgrew said. I started right out on the economics. "Up until two months ago at the DA, Mulgrew was telling us that the city has money but they always say they are broke. I keep reading in the papers that the city surplus is growing." I continued: "The city is not in bad shape financially so why are we settling for so little. If we take out the 4% + 4% for the first two years that just equals the last pattern (and we won't see it until between 2015 and 2020), the pattern we set for the rest of municipal labor is 10% total over 7 years." That is the worst pattern in municipal labor history (at least as long as I have been around)." At this point, Mulgrew stopped me and said I was wrong. I responded that according to Robert's Rules when I have the floor, he has no right to interrupt me. I also told him that I have an interpretation of what's in the agreement and so does he and that doesn't make me wrong. Someone then called a point of order and said that during the question period we agreed that people would only get 30 seconds to ask a question so I was only entitled to the floor for 30 seconds and my time was up. Mulgrew said I could make one more point and I responded by telling him that the 30 second rule was for the question period. I also stated that I sat and listened to him politely for an hour motivating the contract and now it was my turn. He claimed that was my one point and time was up. I then proceeded to say that I wished I was being recorded (earlier he said UFT policy is no recording) because the entire membership should be permitted to see how he treats people who are dissidents. There was fairly loud applause as I walked away. Maybe I should have stayed and further held my ground but I felt I blew away his no money argument and other people could handle some of the other issues as well or better than I could. Unfortunately, they never had the chance. The opposition's next speaker took his 30 seconds to point out how Mulgrew was wrong on his 30 second rule as it pertained to the question period. We had one other Delegate who had the chance to speak. Mulgrew then stopped the debate at exactly 6:15 p.m. and called for the vote. The overwhelming Unity majority obeyed their caucus obligation and supported the contract. Pro contract side talked for well over an hour. The opposition was given about 3 minutes of which half of the time was spent trying to keep the floor and tell the president he was out of order. Would you call that a fair debate? I have written out the points I wanted to make and will instead make them here. Below that is a statement on health care. We don't have to make up anything about the contract. It is bad enough to fall on its own. This Contract is based on deferred payments. President Michael Mulgrew told us that we have had wages deferred before. He mentioned a wage deferral from 1991(in an email). Let’s go look at that deferral and compare it to the current proposal. Back in 1990 we had a union friendly mayor who gave us a one year pattern bargaining busting raise of 5.5% however the economy was about to go into recession and the city soon thereafter found itself in a cash crisis. The city threatened to lay off thousands of teachers including me. To bail the city out, the UFT agreed to loan part of our raise to the city. In order for the city to get us to accept loaning them our money, they had to sweeten the deal. * 9% interest on the loan when we got the money back in 1996. Thanks to the majority of the members of this union who agreed that solidarity with our most vulnerable members like me was important, my job and the jobs of thousands of other teachers were saved. Let’s fast forward to today where again we have a union friendly mayor but now we have been beaten down by corporate school reform for a long time. The city again wants us to defer money. This time it is the 4% + 4% raises other unions got that we are owed since 2009. In addition we are setting the worst pattern in municipal union history that other city unions will have to swallow of 10% over 7 years. I look at the city budget and I don’t see a crisis. I see surpluses but let’s accept the premise that the money is tight. If unions accept less money, then what are the sweeteners in this deal for us? * Changing the use of the 37.5 minutes. By my count, the extended time provision has been reconfigured 6 times since it went into the contract in 2002. What makes anyonethink this change of two days of professional development and parent outreach will be better than the tutoring or other uses of extended time? It is not a gain. * Merit pay or career ladder. The ambassador teacher, model and master teachers just creates different classes of teachers. It flies in the face of union solidarity. We are one union. Funny how there is money for merit pay and the hard to staff school differential but not for our raises. As for the argument that it isn't really merit pay, paying select teachers more than their peers is merit pay. Don't they need to be highly effective or effective which means it will be based in large part on student test scores? If it walks like a duck and quacks like a duck, it usually is a duck. * We get a curriculum. Not exactly a gain. We also now have to write unit plans. * Up to 200 schools will be run like charter schools with short contracts. I thought the UFT started a charter school to show how schools can succeed if they follow the contract. Now we want to run schools like charter schools without contracts. * Slightly altering Danielson but still basing our ratings in part on student test scores. No gain there as now the whole lousy evaluation system is part of the contract. * No interest on the deferred money unlike in 1991 when we got 9%. * An insulting severance package for ATRs. * Weaker tenure for ATRs. Two documented occurrences of "problematic behavior" and we are in a 3020a hearing. This provision divides the union into two types of membership; regular and ATR. It’s antithetical to union solidarity. We are one union; we should have one tenure system for all of us. If this new system for ATRs is so good like the President says, why not give it to everyone? How can one argue this isn't worse than a major giveback? If we are deferring our money, where are the gains? Where are the sweeteners? All I see is the acceptance of the basic tenets of Bloombergism but tweaking them a bit. Those are not gains. In 1990, The DA rejected a loan to the city and sent the Negotiating Committee back to the table to get a better offer. They did. In 1995 against a tough mayor, the membership rejected a contract and got a better offer a few months later that had a retirement incentive, a 25 year longevity reduced to 22 and a 5% reduction in new teacher pay was eliminated. Where are our sweeteners now? Yes these are tough times for unions and educators but this union has a choice: we can accept this contract which basically leaves the Bloomberg anti-teacher system in place or we can follow the lead of the teachers in Portland, Oregon and St Paul, Minnesota who have fought back and gotten better deals for their schools including lower class sizes. The UFT did better in 1991 after this DA rejected an original loan proposal and we did better in 1995 when the membership voted down a contract. We can do better now. The contract is bad enough on its own. We don't need to say anything that isn't true. This is what UFT Welfare Fund Director Arthur Pepper said on healthcare. Arthur Pepper reported that the UFT found the necessary savings the city wanted so there will be no effect on members. We will have the same access to doctors, hospitals and the drug plan won't change. There will be no premium for members. Sadly Leroy Barr's mom passed away so our thoughts and prayers go out to Leroy and his family.